Turns you back into Kirby. 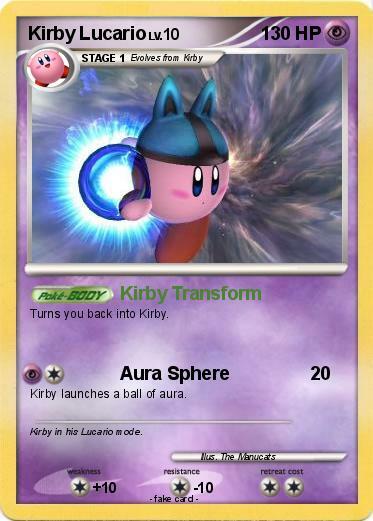 Kirby launches a ball of aura. Comments : Kirby in his Lucario mode.